Welcome to the Town of Minto! 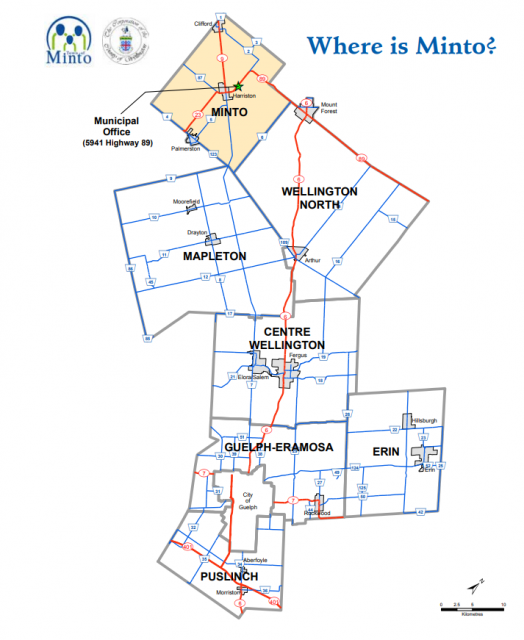 Welcome to the Town of Minto, located in the north-western boundary of Wellington County. The Town of Minto is well situated between the major centres of southern Ontario and popular recreational areas along the eastern shore of Lake Huron and southern Georgian Bay. The Town of Minto is composed of the former Towns of Harriston and Palmerston, the former Village of Clifford and surrounding rural area of the former Minto Township.